It’s that time of year where the temperatures are cooler – and the infamous “Cold & Flu Bug” will be making its rounds! I don’t know about you, but we HATE being sick!! 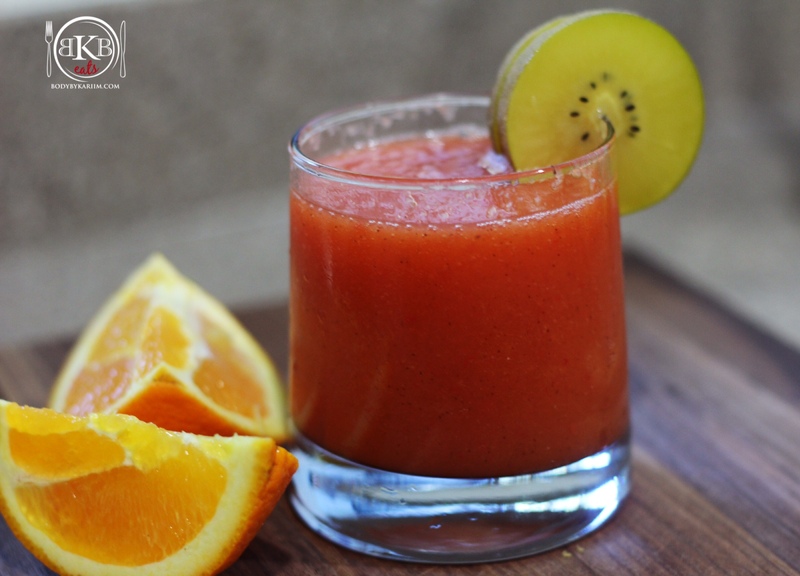 We call this delicious smoothie the “Immune Booster”….It’s full of Vitamin C and pretty tasty! A great way to boost your immune system naturally. Place all ingredients in the blender and blend to your liking. Pour in a cup & Enjoy! over ice is nice and satisfying. I’ll make it for breakfast with a boiled egg for protein or add my vegetable protein powder.